ohannesburg (South Africa) - The DRC’s Francois ‘The Frenchman’ Kabulu faces former welterweight champion Michiel Opperman at EFC AFRICA 25. In this interview Kabulu reveals that the scalp of the former champ will be just what he needs to make his way to a title shot. Is Opperman your toughest opponent yet? He has been a Champion, and will be hungry to get back on top, so I would say yes. He’s a finishing specialist, you’re one of the most difficult men on the continent to put away. Can he finish you? He will not finish me, I am fitter and stronger. I am going to make this a very unpleasant fight for him. Is Opperman a spent force after his loss to Bagattin? No, I don’t think so. I think he learnt from it and will be fitter against me. You lost to Bagattin by unanimous decision, in Cape Town. Many say you won that fight. Do you agree? The officials rescored the fight afterwards and agreed that I should have won, but what’s done is done. I am sure he will be my next fight. Knowing Bagattin defeated Opperman, does it make Opperman less of a threat? It’s MMA. Everyone in my division is a threat. One mistake and it’s over. You’re on a four straight win streak. Would beating Opperman make you the undoubted number one contender? Opperman’s spoken a lot about his striking game. Does he have the speed to trouble you? He couldn’t stand with Dino. In his last fight it looked like his fitness. How do you see this fight going? I have no doubt that I will win. 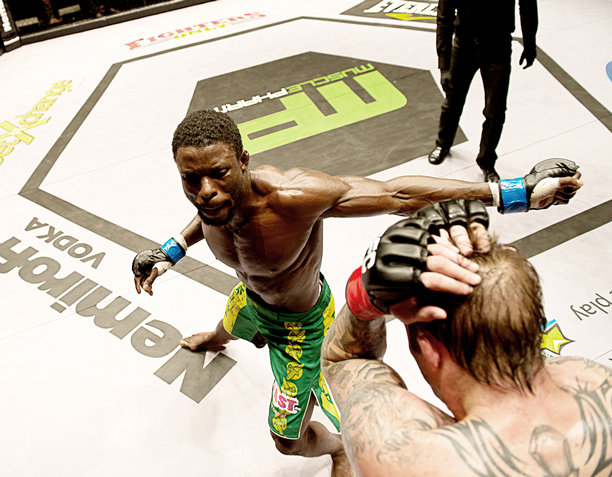 EFC AFRICA 25, presented by MusclePharm, takes place on Thursday 07 November at the GrandWest Grand Arena, Cape Town. Tickets on sale now at www.computicket.com. Stream the entire event, live and in HD, from efcafrica.tv.